Welcome to my home. I was inspired to start a blog to share my expertise in making our house a home, putting good food on the table while accommodating a busy family life—something we all juggle and strive for is balance. I hope you’ll return and follow my progress as I post about cooking, gardening and home decorating. 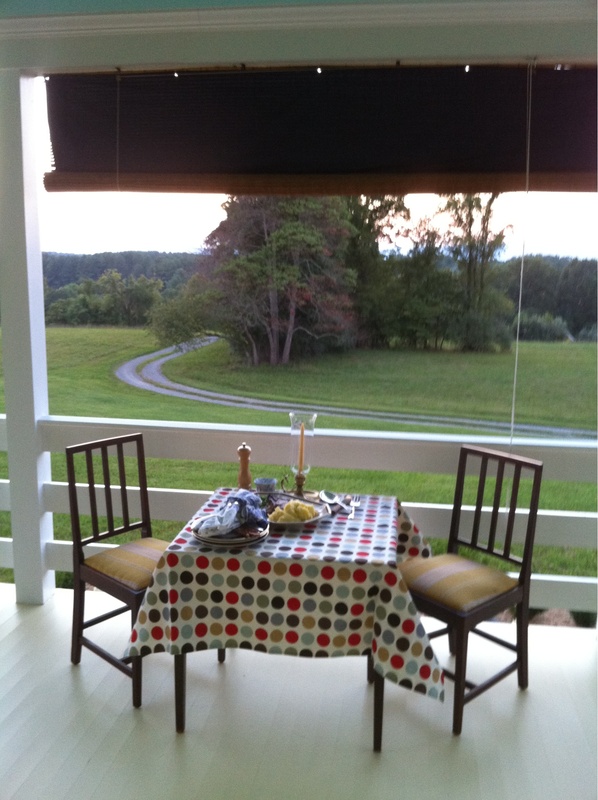 This entry was posted in Table Settings and tagged Dinner, Front Porch, Sterling Silver, Table Setting, Virginia. Bookmark the permalink.